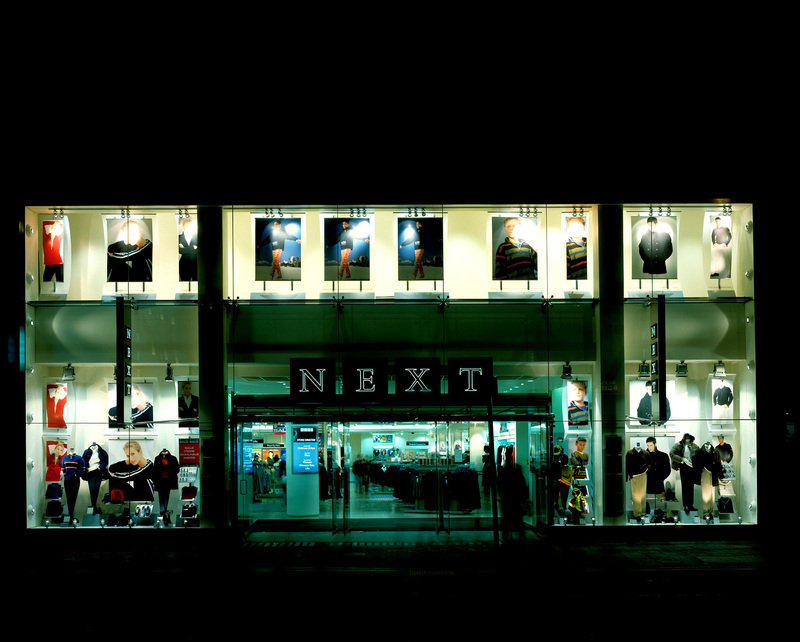 Designed in 1997 for the Oxford Street flagship store of the Next brand, the cluttered old three-storey frontage was removed revealing the structure of the building, and we built the first double or triple-height frameless glass shop facade on Oxford Street, creating a fresh, contemporary and confident image for Next. We stripped everything down to the minimum. Even the roller shutter was taken out of its sheet metal housing and exposed to view. 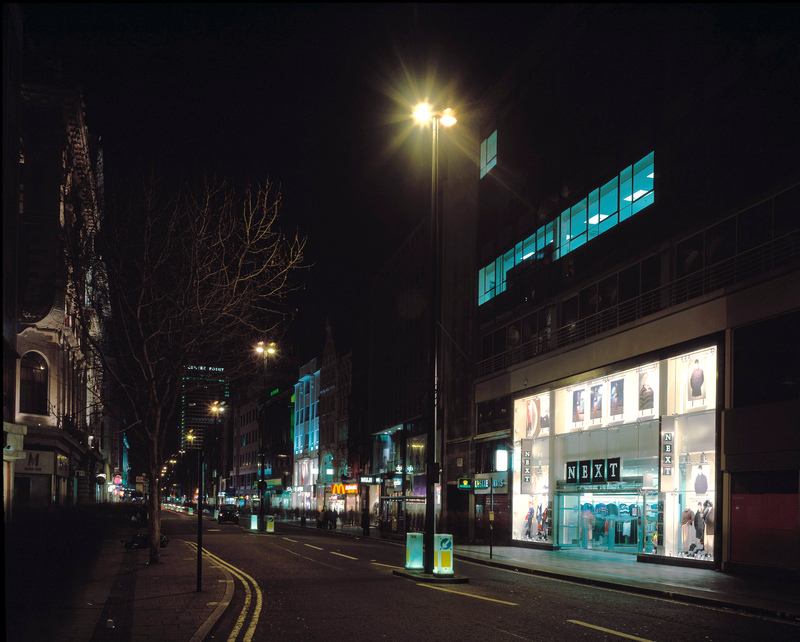 The project was followed by a commission to design a double-height shopfront for Sports Division, another leading retailer on Oxford Street at the time. They had been struggling to get permission for something similar. This also led to design work for Thierry Mugler and an introduction to the wonderful world of Paris craft workshops, or ateliers, with a proud history of fantastic skills derived through long craft apprenticeships.